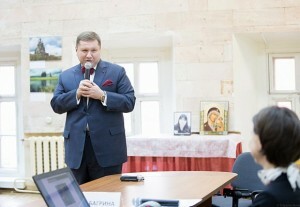 Report from the opening of the exhibition “Sacred and Valuable” at the Russian Orthodox University : Non-profit research based consulting "Sreda"
At the presentation of the exhibition hegumen Peter (Yeremeev), rector of the Russian Orthodox University, said in his welcoming speech that, looking at these or other images that can be seen in the works presented at the photo exhibition, you understand that: photography – is a kind of adapter of life, a language that is able to express church culture in its own way. One of the important components of the exhibition, according to father Peter, may be the evaluation of the potential of photos precisely as a possible specific language of Christian culture, as part of the mission. So, in terms of the contest, everyone (not just professional photographers) could send a photo of whatever was on their mind as a sacred and valuable thing. 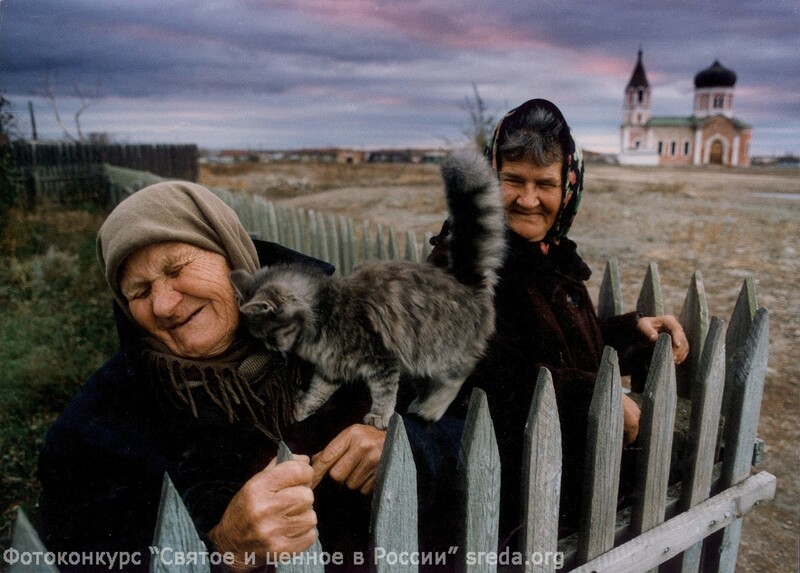 The terms were that the picture must be taken in Russia. As a result, 2,160 pictures were sent. 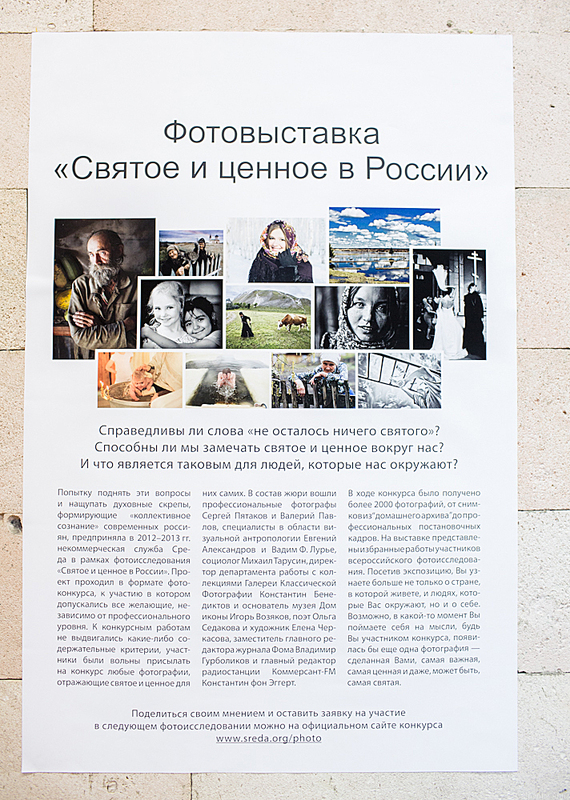 Interestingly, the pictures on religious topics and Orthodox service were in general sent more by men than by women. Though according to various polls, it is women who are more likely to say that they attend church. Under the category of “sacred and valuable,” we almost did not receive photos of work, profession, art, culture, books, art, young family, photos of the whole family with father, mother and children … We did not receive photos of any national symbols, though, it seemed that there should be many of them, especially if we take into consideration the current talks about the growing indoctrination and ideologisation of our society. But people did not take topics related to citizenship, symbols of the state as the sacred and of valuable for them. Urban architecture is almost absent in the photos of sacred and valuable sent for the contest. The urban environment, urban culture were not presented in the category of “sacred and valuable.” While there were pictures with the emotion of pain: for the elderly, for their poor life, or about our history. But there were few photos with the pain for the disappearing monuments of urban culture. But there were many images of the village. 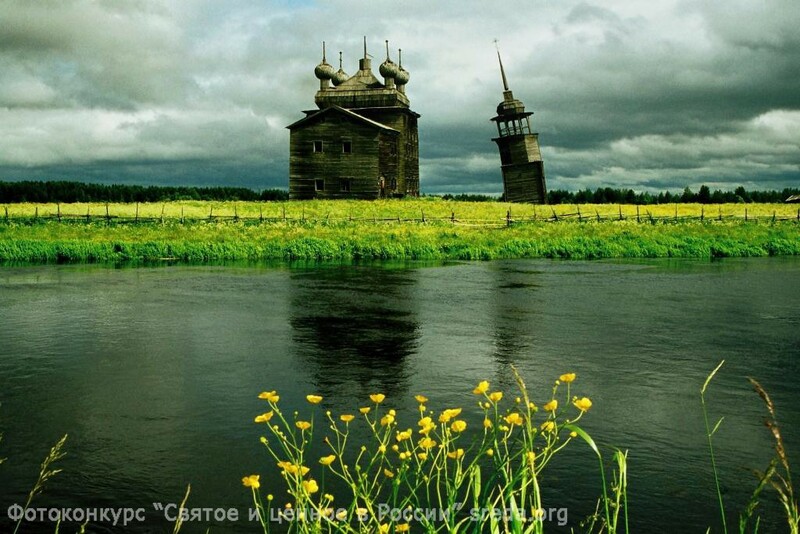 It was noted by Konstantin Eggert, editor in chief of “Komersant FM”, member of the jury: “I was surprised that among the vast number of works there were so many images of rural Russia. Despite the fact that most of the population lives in cities. ” Konstantin Eggert noted that the results of this photo survey correspond to what is reported by the “classic” public opinion polls. 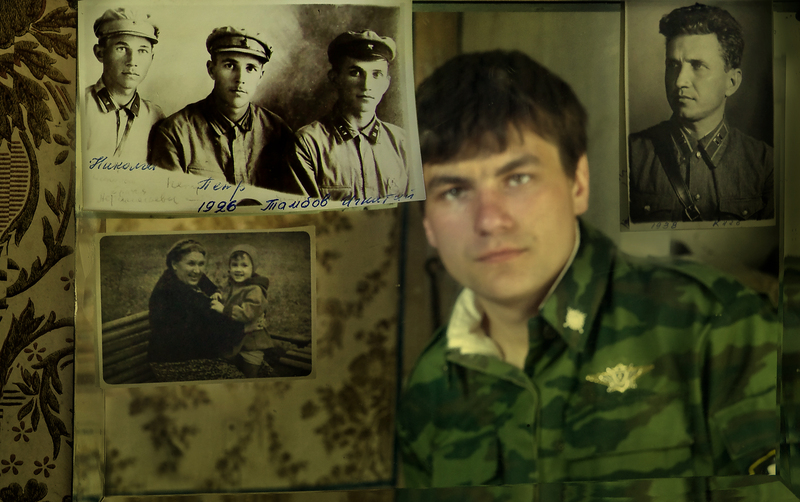 For example, if the photo is about the past then it is sure to be about World War II. The war at a distance of 70 years from us stays valuable for us. There were few other historical topics except this one. 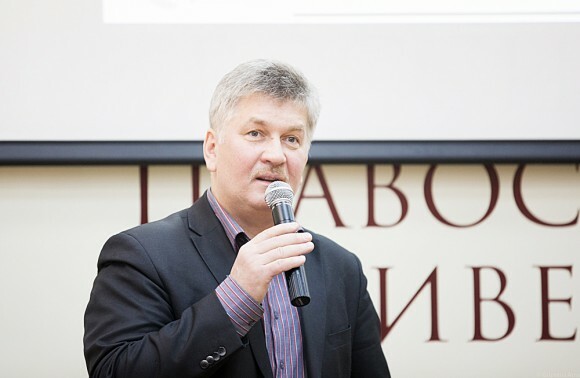 Jury members Constantine Benedictov, head of the art gallery “Theophany”, and Sergei Piatakov, a RIA Novosti photojournalist, spoke at the opening of the exhibition. “The sacred and valuable is difficult to explain in words, and even more so through the images. For a picture to turn out, a lot has to come together at one point! “, said Sergey Piatakov. But still, a photo survey is also a contest. 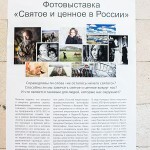 That’s why winners were named: Sergey Poteryaev with the work “Wedding”, Valery Melnikov with the work “The Inner Light”, Sergei Kolyaskin with a series of works “The Eyes of History,” Nikolai Telegin with the work “Church of the Transfiguration,” Igor Lagunov with the work “An Old Woman’s Happiness . 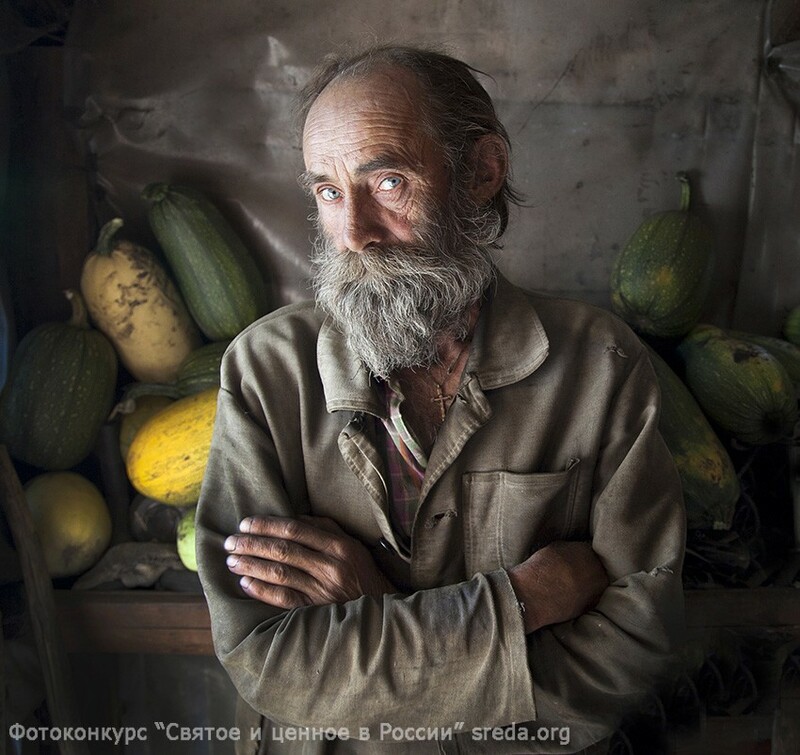 ” The first winner was Andrew Hitaylenko and his “Autumn Portrait (Portrait with eggplants)”. 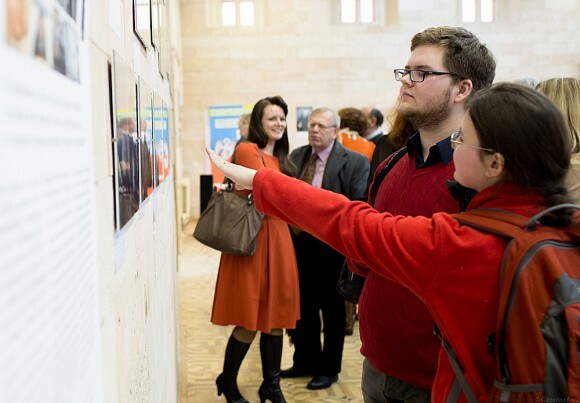 Concluding the opening of the exhibition, Elena Zhosul, head of the Journalism Department of the Russian Orthodox University, said: “I am glad that such an interesting exhibition became the artistic component of the ROU.” She suggested that ROU is a good platform for further dialogue between the Church, science, and culture. The works submitted for the contest speak volumes. 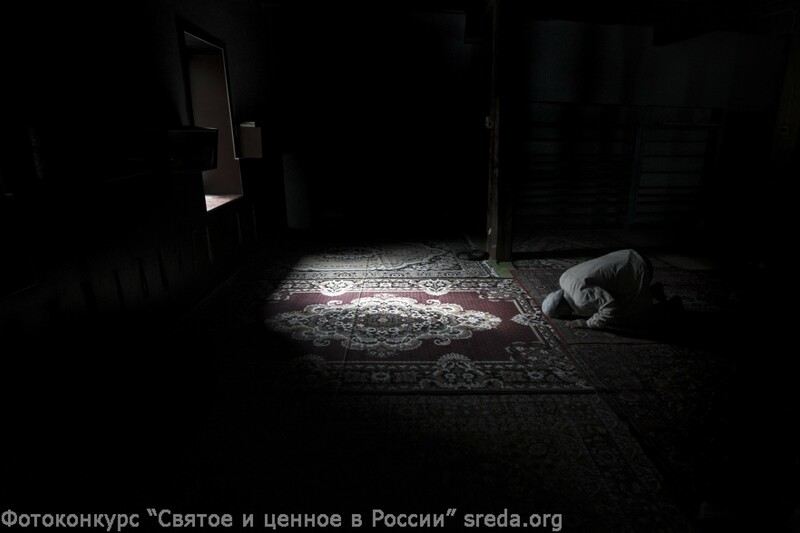 They show that the Russian people who live here today, almost do not value this “today”. They do not value youth, beauty of the human body, the beginning of love, which is yet to come, or comfortable everyday things… For some reason we often try to live in the past, experience, pain, preferring it all to the present, and joy … Although, there were also joyful works of contest participants. The 6 winners of the contest were named: five second prizes and one first prize. The organizers warmly congratulate the winners and thank all participants of the project!